Amelia represents clients in business, commercial, real estate and employment matters. She has experience in litigation matters involving contract disputes, consumer claims, product liability claims, construction disputes, intellectual property, business torts, commercial leasing, and sexual harassment and discrimination claims. 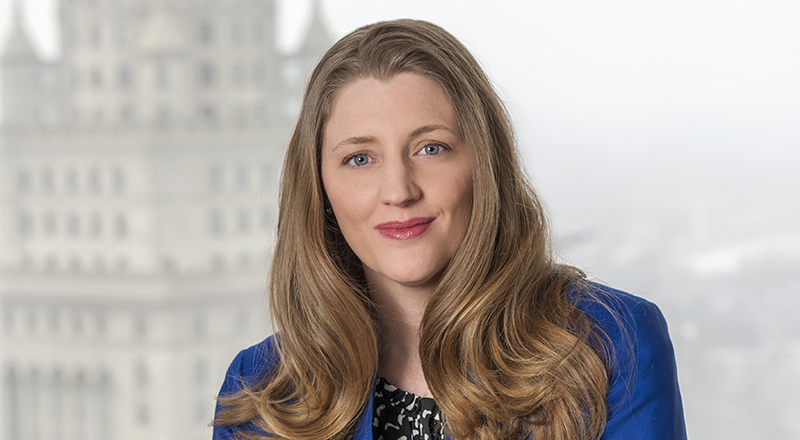 Her background in technology also led to her involvement in multiple litigation matters involving product liability, intellectual property and construction issues, which require an understanding of sophisticated technological principles. Amelia is a graduate of the joint JD/MBA program at Case Western Reserve University School of Law and the Weatherhead School of Management, where she focused her course of study on intellectual property and entrepreneurship.